After almost thirteen years out of print, Death Call will be once again made available in dead tree format under the Breffni Books imprint, published via our friend Jeff Bezos at Amazon. Good reviews are always welcome! It was all he could do to stop his hangover from spilling out onto the victim as he studied her neck and what he made out to be the initial puncture wound in her abdomen. From that point, he thought, she had been opened like an envelope with a paper knife, revealing a mess of entrails and blood. With a deranged serial killer on the loose, Detective Sergeant Dan Carroll and his new partner Detective Constable Samuel Grant find themselves trawling the seedy side of London in search of a brutal killer who preys on prostitutes. A Shot of Modern Noir. And I've added one or two words of praise from the Paddy Pack (the Irish Crime Writer's fraternity), including the one from the original print version from Eugene McEldowney. 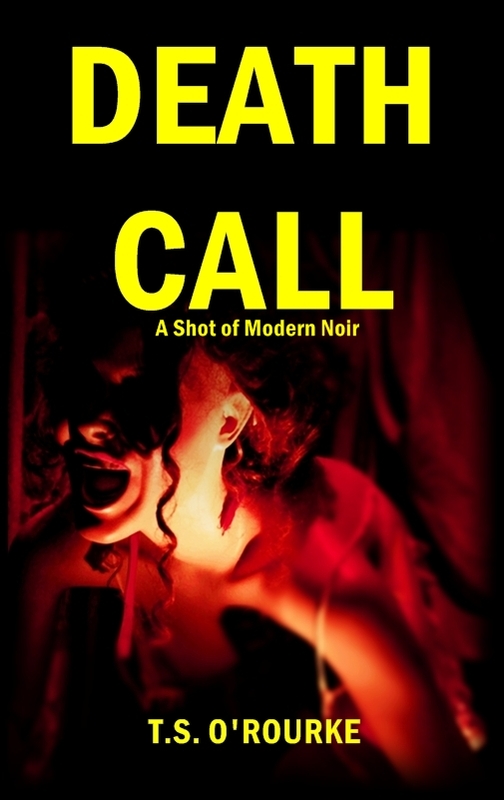 "Death Call is a rattling good read and T.S. O'Rourke is a crime writer to watch." "As blunt and effective as the average anvil, TS O'Rourke's prose in Death Call was hardboiled, pickled and left out to dry under a post-apocalyptic sun."